Posted on April 24, 2015 at 5:36 pm. 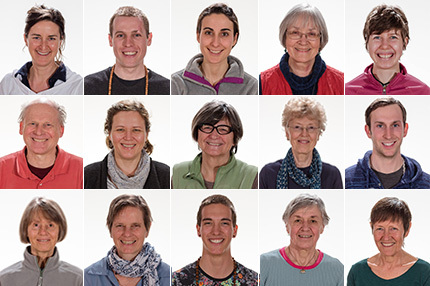 When light and heat burst buds to blossom, when Hatha Certification releases bright new teachers from a 100-day chrysalis, when a splendid Temple concept emerges from the unseen, when the AGM is almost upon us and enthusiastic young people show up ready to grow – it must be April at the Ashram! I’m inspired by wrens and thrushes singing their unique songs and by wild Calypso orchids popping up in secret places. And by Yasodhara Ashram – a community expansive enough to hold diverse voices, layers and nuance – powered by the same renewing energy as spring. Here is a sample of upcoming courses. See more in the 2015 Calendar. Power Pack: Life Seals & Straight Walk: This special five-day program – one of our Signature Courses – gives you the opportunity to gain perspective on your life through two of Swami Radha’s most powerful self-development workshops. Personal retreat time is included for review and synthesis. Register for one or both workshops. 10 Days of Yoga: One of our most popular programs, this course offers practices that support your personal and spiritual development. Give yourself ten days to expand your understanding of who you are and who you want to be. Renewing in the Light Retreat (Summer Solstice): What better time to saturate yourself with Light than during the magic of summer solstice? 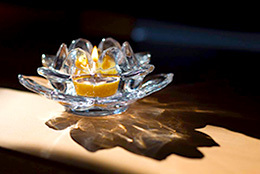 In this retreat, we honour the seasonal cycles of light by nourishing your own inner Light. We explore the practice of the Divine Light Invocation along with relaxation techniques, visualizations and meditations on Light. 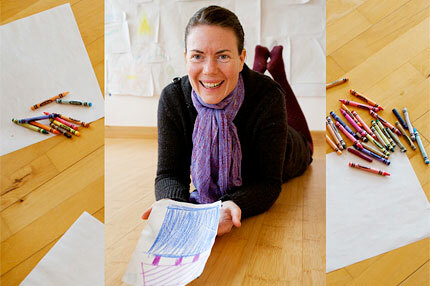 Artist and Professional Renewal Retreats and Personal Retreats are available year-round. Take time to renew spiritually and creatively. We come to you! Watch for spring and fall workshops offered by senior Ashram teachers. West: Nanaimo, Spokane and Victoria. East: Toronto, Ottawa, Montreal and Halifax plus an Ontario weekend retreat. Words to your favourite mantras and bhajans. We want to stay in touch! If you haven’t already, please take a moment to update your subscription preferences so that you will continue to receive our monthly newsletter. Swami Radhananda speaks about the importance of Yasodhara Ashram’s sacred ground and the foundation we build through our work together. 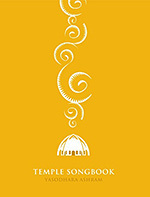 “We use this place and our practices to move through and come to a real place.” From a satsang in the Temple of Light, 2007. TEMPLE UPDATE: Waiting to be Revealed! Only ten months after the Temple fire, we are putting the final touches on the design concept for the new Temple of Light! The process has been swift and full of grace – finding brilliant architects who have captured a luminous vision; feeling the support and deep connection from our community; receiving so much Light and so many prayers from around the world. 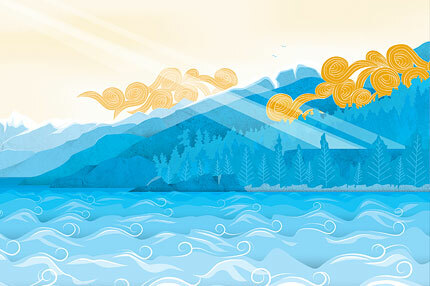 In May we will be revealing the design concept for the new Temple. We will also be launching a dedicated website that will have full concept details as well as news, updates and information on how you can give, get involved, and help us build the new Temple of Light! Life Seals, one of Swami Radha’s original self-development courses, is offered twice this year, May 8 and July 27. Clare Bateson describes how one of the 27 symbols she drew in her Life Seals course in the Yoga Development Course (YDC) started to come to life and bring new insight. I put my Life Seals up on my wall and applied every new practice we learned in the YDC to it. I realized symbolism is both universal and deeply personal. One seal was quiet for the first couple of months but spoke to me when I “headstanded” it and took a fresh, upside-down look. I had drawn it to represent the positive quality of being hard-working. It originally looked like a snowplow and brought the word “horsepower” to mind. Upside down, it became a sailboat. This perception came at the end of a three-month process in the YDC of learning to be kinder to myself. I realized that not only has my approach to “hard work” become softer and more sustainable, but my own efforts are being supported and carried forward by something else less tangible. What a gift from my subconscious! 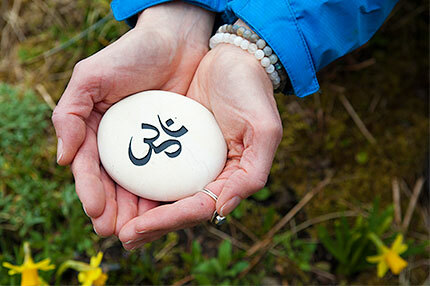 This Mother’s Day, May 10, why not give your Mom the gift of time in the natural beauty of Yasodhara Ashram? Treat her to a nurturing spring retreat or offer her a choice of courses through a gift certificate. Personal retreats or in-depth courses all provide space to focus inward, connect and renew. Our spring retreats feature relaxation (Relaxation Retreat May 15-17) healing (Yoga & Healing Retreat May 22-26) and transformation (Tools for Transformation May 24-June 2). The Ashram’s blossoming spring environment is a perfect antidote to stress. Mother’s Day or any day is the right time to give back with appreciation and care for the one who cared for you. Contact us at registrations@yasodhara.org. Yasodhara Ashram is a unique setting for group retreats or gatherings. Spacious, light-filled classrooms and sacred spaces combine with the incredible natural beauty of our land. Board member Alicia Pace talks about our unique offerings for groups large and small, business or celebratory. The Ashram is a hidden gem for event space rentals. We are making an effort now to make sure groups know about the opportunity available here. We are fortunate to have so much to offer. Organizations travel far and wide to find a hospitable welcoming space “away” to do their deeper thinking. Or some people want a natural setting for a celebration such as a wedding. Our space and services completely support this. We have the beauty, the quiet, great food, on-site event coordination – a reflective and productive atmosphere. I facilitated a workshop yesterday with a community group and everything worked well. During the break, some people walked on the beach; some went to see the chickens. We also give organizers the option to bring in our programming, like hatha or relaxation practices. We hope people will view our new enhanced website information about event space rentals and spread the word! What happens when your partner decides to take the Yoga Development Course (YDC)? Sean Britt shares his recent experience when his wife, Nicole, came to the Ashram for three months. The Yoga Development Course was a dream of Nicole’s and I supported her participation. After the first month I visited her at the Ashram and recognized there was a purpose here for me as well. I was open to the teachings and found they helped me with my work situation. I also started going inward, reflecting and taking a look at what our relationship means to me. In the second month, I came back to the Ashram for the Relaxation Retreat, which opened me up to ways I could improve and love myself more. So it’s been a three-month course for me, too, with a lot more self-reflection than I could ever have imagined. Many people might feel threatened if their partner decides to take the YDC. But my experience is that when you spend time apart, you actually grow closer together. You begin to recognize what’s missing when that person is not in your life and to value your partner even more. If anyone out there is questioning whether this will work for you, I would say just embrace it fully. It will bring unexpected and wonderful outcomes. 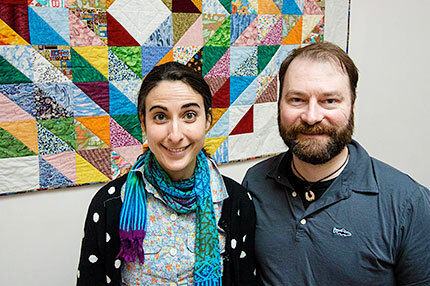 A new program addition to the YDC this year revealed the transformative power of the course in a unique way. The Ashram’s photographer-communicator Amy Allcock captured participants in before-and-after photographs that speak for themselves. Amy reflects on her project initiative. “During the YDC, transformation occurs on multiple levels – physical, mental, emotional and spiritual – and it raises interesting questions for me as a photographer: Does the inner change that happens also appear externally? What is the nature of the observable changes? How does transformation manifest or present itself?” To explore these questions, she photographed participants during the first week of the course and again in the final week. Her take on the experiment? “The camera certainly picks up the changes. There is a new lightness in everyone. It is reflected mostly in the eyes.” Amy presented an overview of the project in a fascinating Lunch-and-Learn at the Ashram. See for yourself by clicking on each photograph in the panel above. You’ll learn more about the project and view the before-and-after sets of photos of sixteen participants who agreed to have their photos posted online. We can all celebrate this renewed Light going out into the world! Linda Funk will be leaving the Ashram at the end of April after two fulfilling years. 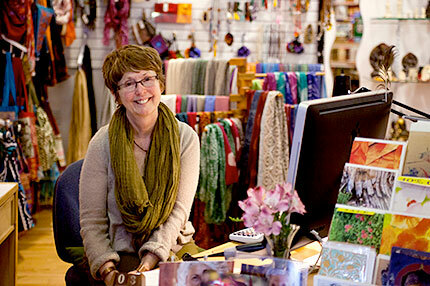 Known for her welcoming presence in the Ashram Bookstore and her talent for design, colour and sewing, Linda is taking with her a new approach to life. The most important thing I’ve learned is to value myself. I don’t have to do anything to win that – just be myself. At the same time, I discovered that all my skills are helpful and appreciated here. This is so empowering and fulfilling. I found a sense of community here. I love the vibrancy; I love being able to contribute. I recognize a deeper level too – my connection with the Divine. It’s quite remarkable that I’ve learned some very practical things about setting up my life – keep things simple; let passion and joy direct my actions from a place of service; allow life to unfold; have compassion and humor. I’m down to what’s most important to me – to the essence. A stone mandala I built on the beach came to symbolize this process for me. 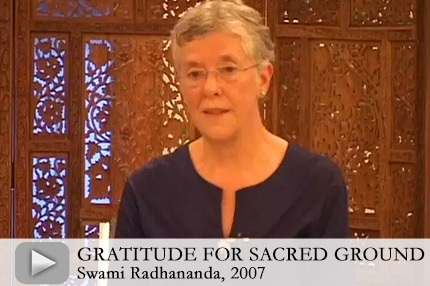 I will always be grateful to Swami Radha because she was a practical, realistic woman. That’s interwoven in all of the teachings. 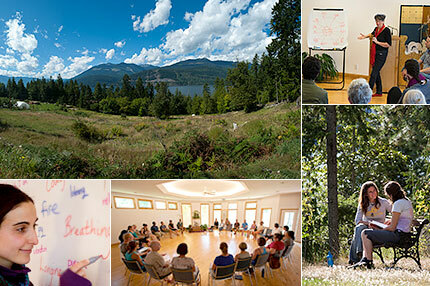 Annual General Meetings (AGM) May 1 – The combined AGMs of the Yasodhara Ashram Society, the Friends of Radha Foundation (FRF) and the Association for the Development of Human Potential (ADHP) will be held at the Ashram on May 1. Members of all three organizations are invited to attend. If you aren’t already a member, consider joining. Membership dues are $25 or for limited incomes we suggest $10. We’d like to hear from you even if you can’t attend. Contact registrations@yasodhara.org. New Hatha Yoga Teachers – Thirteen graduates of the Yoga Development Course moved into our Hatha Teacher Certification Course April 9-19. They are now offering classes at the Ashram or exploring opportunities in their communities. Congratulations! Check out the shiny new graduates on Facebook. Connect with Yasodhara Yoga teachers worldwide at yasodharayoga.org. Building Resilience – In the past few years, back-up generators were installed for maintaining our water and sewage systems – all part of our planning for greater resilience. In early April we installed a generator for Mandala House, our main community building. We are now able to sustain a 36-hour power outage without substantial change to operational systems – improvements that were many years in the making and that will provide a more convenient experience for our guests! Spring Renewal – Our community expanded to more than 70 (80 for dinner) for the Spring Renewal and Easter weekend celebrations. The garden blessing, traditional Easter egg hunt to Easter Rock, community-wide workshop and celebratory dinner brought us together in a joyful spirit. How to make a bed! – Karen Squires, recent Yoga Development Course graduate and Accommodations Manager, demonstrates the care and attention to detail that go into preparing rooms for our guests. Watch the two-minute video, The Gift of Care, produced by karma yogis. And remember – this care is what awaits you on your next visit! Artist & Engineer – Lindsey Curtis, our first featured artist in the Saraswati Salon column of the newsletter, was accepted into Emily Carr University of Art & Design for the fall semester. Congratulations, Lindsey, on manifesting your wish to expand from engineering into the world of art! 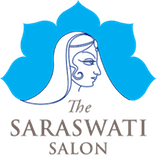 Freedom – In honour of Swami Radha on her birthday, March 20, and in a spirit of generosity, three young people at the Ashram cut off their beautiful long locks to give to a charity that creates wigs for children with cancer. They say their action brought a sense of freedom they will never forget. See more on Facebook. Swami Radha reminds us that there are many paths to the Truth and each of us must carry the Light of our Hearts and build our own unique Cathedral of Consciousness. Listen to the audio. Reflection QuestionsThe tradition of satsang is rich in symbolism and ritual. Use the following reflections to deepen your own engagement with satsang and to inspire your students to broaden their experience. Thank you to the Yasodhara Yoga Nanaimo group for preparing this month’s theme. Satsang is an opportunity to come together as a community or group to learn together, support each other and live in harmony. How do you support your sangha? What does it mean to live in harmony? What is required? Satsang means “In the Company of the Wise.” How do you listen to the wisdom that is in and all around you? We can create space to be in satsang all the time. Take a walk; look and listen for wisdom to speak. Or come to a relaxed and centred place using the 4-4 breath; become quiet and still. Bring a question or concern to mind and ask for understanding. Record what you hear. Swami Radha talked about our “Cathedral of Consciousness.” What does this mean to you? Draw your cathedral of consciousness, reflecting on what your drawing is telling you. Enter your cathedral. What do you see, what do you hear? For more Teaching and Reflection ideas, click here.